a matter of learning to "trust and believe" that you do so you might "see" just how true that is. There are a very diverse and wide range of "perceptions" regarding what trust is and isn't. 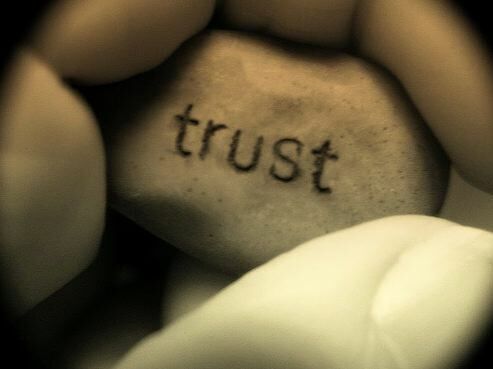 Some claim to have unshakable trust while others claim they lack the ability to trust. We ALL trust in something and we ALWAYS get to be right. Some trust in the sad, bad and horrific and some trust in joyful, grand and magnificent. Most of the trust we have falls somewhere in between. Let's look at a perspective that has proven to be "profoundly powerful" and equally as transformational for me in the physical, financial, relational, emotional and spiritual aspects of my life...shall we? No worries, there's nothing to DO in the literal sense of the word, with the exception of making a choice to shift and begin adopting a more conscious form of trust and a way of BEING that will, without fail enable and empower YOU to be, do and have more of whatever heartfelt desires that you aspire to create in your life. We’re going to delve into what I've discovered to be perhaps, the single most important way of “being” that we can "choose" to engage in to ensure with unwavering certainty that abundance and happiness becomes and remains a way of life long term for you, should you choose that for yourself. More specifically, we're going to be discussing and exploring how to utilize the Power of Trust consciously and intentionally. In other words you CAN'T NOT trust. We're ALL without exception trusting in something. Our individual perceptions, beliefs and what we consistently focus points to and determines what we are trusting in. Without going into great depth and explaining what modern day science has discovered with regard to the power of focus or what the mystics, sages and masters since antiquity have ALWAYS taught, the quality of your consciousness is what is determining the quality of your results. Now admittedly, there are a lot of people who think that other things they do determine the kind and quality of their results, but consciousness precedes EVERYTHING. Simply this. Nothing currently exists, ever will exist or ever has existed that wasn't first "thought of." Any tangible and measurable results showing up in your reality are the result of and provide a mirrored reflection of the quality of consciousness that you are choosing. Perhaps you remember from your school days, being taught that everything is energy. It is. What you may or may not have been taught is the fact that consciousness molds and shapes this energy. Since everything is energy, even the stuff you can see, and consciousness precedes and is infused within all energy, the following statement is a good one to memorize, internalize and do the very best you can to not only remember but use consistently. Energy flows where attention goes. And it's important to remember and use that statement for the simple fact that the quality of the attention that you are giving any event, condition or circumstance in life is going to determine, in both tangible and intangible ways, the quality of that event, condition or circumstance both now and in the future. Examine, become aware of and choose to make the shift should you discover that you’re consistently focused on and trusting in the tangible appearance of less than you consciously desire. To consciously activate the Power of Trust, first it’s necessary to discuss and cover some things that I’ve found during my many years of walking a number of paths, not only kept me from but which I've also found keep so many from fully believing and trusting that all things in life….and I do mean ALL THINGS in life, work together for a greater good. It doesn't matter where you are currently, what you're experiencing or what you perceive as being true or untrue with regard to your current or past results. All things do work together for a "greater good." Think about this. We've all had times in our lives when we experienced something that we perceived as being "really bad" as we were experiencing it. Then at some later time we discovered that the perceived as bad experience was necessary for "allowing" something really good to happen at some future point. We've seen and experienced in our own lives just how "true it is" that all things do work together for a greater good. Some don't see that. Maybe you don't. But it's true. But before it can become "true" for you...meaning before you'll be able to personally "see" just how true it is, it's necessary to look below the surface. Granted some don't and won't look beyond the pain or "perceived" badness of various experiences of the past which often does keep them from seeing any "greater good", yet it doesn't change the fact that a greater good always comes from it. When you get to the place that you "truly know" that, you've made a huge step toward using, aligning and harmonizing yourself with the Power of Trust in such a way that consistently moves you toward where you truly desire to be rather than away from it. In other words, you'll begin attracting "desirable events, conditions and circumstances, the quality of which are always providing a mirrored reflection of what you are focusing on and trusting in. If you're not familiar with what's recently been labeled The Law of Attraction or the other Universal Laws that oversee and govern the process of creation, you'll benefit greatly by exploring and gaining at least a basic understanding of them first. For me personally, discovering and choosing to gain an understanding of these laws of nature, proved to be invaluable in providing me with the missing pieces of the puzzle regarding how and why life's events showed up as they did. Gaining that understanding also assisted in enabling me to discern between what was true and "less than true" about life and possibility which I'd adopted based on previous teachings acquired through "man made religion", social programming etc. I discovered that answers to what I once perceived as being "unanswerable questions" were received and answered. Answers about life and how to begin consciously and intentionally creating a quality of life that I desired for myself, but previously wondered and even doubted that could become real. A kind and quality of life that many...most perhaps only dream of. I discovered through choosing to delve in, explore and gain a deeper understanding about Universal Law that there is a science behind both success and failure. It provided a depth of understanding that these various avenues I had gained my understanding from prior, couldn't provide which dramatically enhanced my trust personally and clearly showed me how and why the Power of Trust never misses it's mark. But to enable the Power of Trust to work in a desirable kind of way requires becoming conscious and keenly aware of what you are trusting in. And the “key word” in that statement isn't only to trust but rather to learn, understand and choose to “consciously” activate and direct the power of trust in all aspects of your life in such a way that provides desirable results. Because doing so "consciously, intentionally and consistently, will enable the Power of Trust to do what it always does...what it was designed and intended to do. And doing so consciously and intentionally is very important because it activates the Power of Trust in such a way that enables you to see just how powerfully creative you are. It clearly reveals the power you hold to be, do and have all that you have the desire as well as the willingness to be, do and have. And whether you currently understand, believe or trust in what I share or not, you DO have the ability to create abundance and happiness as well as the polar opposite for yourself. One of the key factors that will enable a "truly desired" quality of life to become true or not for you is to choose to consciously utilize the power of trust unconditionally. Because it's through trusting unconditionally, regardless of what you're seeing and looking at now that enables what you're seeing and experiencing to take a different form at some point in the future. It's that way of being that will enable you to personally see and experience the unwavering fact that "All things DO work together for a greater good." That’s a tough one for most. REALLY REALLY tough in MOST cases. Because we are predominantly visual beings. We think in pictures. Because that's "true", what we look at and see in the world around us, is more often than not what we choose to place our trust in. We often perceive that what's going on out there is “real.” Although it IS real in a tangible sense, at the level where all this “real and tangible stuff” comes from…the level that’s MOST important…it’s not real at all. To better understand what I mean by that you might find the Reality and Actuality article helpful. Reality is unfolding here in tangible form just as we see and perceive it. But it's what we see and as a result "perceive" about life which makes life what it is. As real as Reality might seem, it's ALL coming from Actuality. Actually is the unseen...the place where all probabilities already exist. 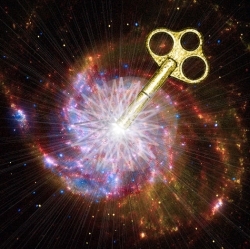 At this level...this Actuality level...whether you choose to call it "the field, the Kingdom, the quantum hologram or WHATEVER...“all probabilities” already exist within it. The BIG question is, what determines the kind and quality of results that we draw from this "unseen space" where everything already exists? And the life changing answer is what you choose to focus on most, the thoughts you think due to that focus, the emotions that those thoughts ignite which is reflected in EVERYTHING you say and do. If you have any doubts about how "true" that is, take the time to explore abundance-and-happiness.com, make a "conscious choice" to expand your mind, become aware of what you don't already know, gain the understanding, take the action and you'll experience for yourself not only how "true" it is, but how powerfully creative you are. What you'll discover is the unwavering fact that what you are BEING is what you are seeing and there are no exceptions. To get what you truly desire in life, it's necessary to establish the understanding that you can have whatever it is, understand how worthy you are to receive it, know how capable you are of "getting" whatever you hope, dream and desire to get. And perhaps the single most important thing you can do once you've made the choice to do so is to QUIT looking around you at the results that are here and begin envisioning what is truly available to you. In other words, focus on, trust in and choose to "consciously move toward" whatever it might be that you desire for your life by thinking, speaking and ACTING in such a way that is in alignment and harmonizes with your desire. To create something different than you have in the past, it's going to be essential that you DO something different than you have in the past. The most important and transformational thing you CAN DO is to begin using the Power of Trust consciously and intentionally. Because we can't see it initially, it's more difficult to trust in the fact that what we desire can become and in fact ALREADY IS ours, should we choose that for ourselves. There is nothing...NO THING at this "level" that needs to be created, acquired or "thought of"...it's already there. Anything and EVERYTHING...EVERY thing...past present and future came and comes from there. The entire Universe operates and sustains itself in cycles. The less than desirable outcomes we experience in life become and remain real in a tangible sense for many due to the fact that most focus on, judge, label and consistently choose to ignite and instill even greater fear within themselves based on what they’re “seeing” in tangible form which initiates, creates and sustains a cycle, the quality of which, keeps the seemingly real and fearful things showing up in “tangible form” over and over again. They are unknowingly drawing from Actuality a kind and quality of result that they "wish" they didn't have to experience. In essence, they begin and continue using the Power of Trust in an unconscious way and what consistently shows up keeps them fearful and "seemingly trapped" within those less than desired cycles. To change the quality of the cycle, it's necessary to change the cause which is responsible for creating and sustaining that cycle. I'm in no way shape or form downplaying nor attempting to undermine the fact that many people experience very fearful and less than desired experiences in life. I have immense empathy and compassion for those who do and who also believe that they have no power to change things. That's why I do what I do. But who "chooses" that? Who chooses to look at and see things in such a way that transmutes all probabilities from this "unseen place" where ALL THINGS already exist, the judgements, labels and perceptions held, which in turn makes either Love or fear a consistent reality? Here's something to think about and consider. We are using the Power of Trust ALWAYS in ALL WAYS. We are either trusting in Love or trusting in fear. Those are truly the only 2 choices we have in life. Yes, there are MANY subcategories if you will, but each of them can be filed under the heading of Love or fear. And fear is the predominant way of BEING that most are unconsciously and unknowingly using due to what they're "seeing, believing and trusting in", which in turn is activating the Power of Trust in such a way that can never...or at the least, seldom provides the desired result. Let's use those who trust that life and the events, conditions and circumstances in life are things that should be feared. Since fear is the predominant way of "being" that most choose in some way, shape or form, let's use it and the fear based things that show up as a result of that focus. Those who choose that approach...that "fear based" way of being...are in essence using the power of trust, yet doing so in such a way that consistently provides the polar opposite of the consciously desired outcomes that they would LOVE to see and experience. The Power of Trust isn't failing, it's only an unconsciously focused way of using it which makes the trust in things to be feared stronger and more real. "That which you fear most comes upon you." And unless that focus of trust is shifted, unless and until the Power of Focus is "consciously and intentionally" utilized to make the shift from fear to Love, the cycles will continue to reproduce and provide you with all the evidence you need to support just how "scary" the world is and the unnecessary pain that always follows due to focusing on the fear, doubt and worry that so many do. The Universe never fails, wavers or errs in what is provided to you. It can and in the lives of many "seems" to fail, err, or waver but the Universe exists and sustains itself for the simple fact that it's based on harmonics. It's always creating and delivering something. And that something that shows up is always aligned and harmonized with a cause. In this case the cause is what you are trusting in and focusing on. Consciousness is the cause plain and simple. Your consciousness molds and shapes the quality of your life and the collective consciousness determines the kind and quality of results on a larger scale. When you choose to utilize the Power of Trust consciously and intentionally, the consciousness of the collective has no bearing on your individual experiences. You can and some do utilize the Power of Trust as their "safety bubble" if you will. What you trust and have faith in determines your individual experience regardless of what might be happening in the world around you. As I often share and have written about extensively, Faith and Abundance is all there is. The same concept holds true as it pertains to the Power of Trust. Trust...what we are trusting in ALWAYS points to and reveals the kind and quality of "Faith" that we have. And that quality of faith and trust determines the kind and quality of tangible as well as intangible results that we see, experience and are individually "choosing" for ourselves. Faith and trust are intricately interconnected as all success principles (and everything else for that matter) are. In the bigger scheme of things, there exists no such thing as a lack of faith or trust, yet having a quality of faith and trusting in the polar opposite of what so many claim they want and hope wish and pray that they “might get” someday will keep want and someday a consistent and persistent reality. It means that if and when you should “choose” to look at and see things that way, you’ll begin to see, know and understand the power that you’ve been provided to create your life in any way that you choose. You can remain blind and oblivious to the facts surrounding what you're choosing to BE at any given moment and consistently "perceive yourself" as being a creature of circumstance rather than a creator (or if you prefer a co-creator) of circumstance. And YOU are choosing what you trust in, are you not? I nor anyone or anything else outside of you can make you trust or distrust anything. You must make that choice. That choice is based on and derived from your perceptions and beliefs regarding what’s “true or untrue”…what’s possible or not possible…what’s practical and not practical. A quality of faith and trust that reflects, aligns and harmonizes with consistently fearing what might or could happen, “Maybe getting something someday” or certainty that what you’ve gotten and are looking at now is “simply the way life is” will keep maybe getting something “someday” and the way life currently is a consistent reality whether it be in the physical, financial, relational, emotional and/or spiritual aspects of your life. In essence, this chosen way of doing things, as "unconscious" as it might be, is a form of trust. Yet it’s a kind and quality of trust that has never and can never provide the thing or things desired. It's a form of self sabotage. It sabotages the "physical manifestation" of the thing or things that are truly desired. Those things...ALL things...whether we choose to look at them as good, bad, right, wrong, holy, evil or whatever labels and perception you might choose for yourself ALREADY exist as a probability. What turns them from a "probability into reality" is what you choose. As you believe you DO receive and you always "receive it" in abundance, although most don't choose to look at, see and "perceive things" that way. Perhaps, should you choose to begin "consciously utilizing" the power of trust in EACH and EVERY aspect of your life...unconditionally...regardless of what you might be "seeing" unfolding all around you currently, I'm quite certain based on many years of experience and "trying it" both ways, that you'll personally see that whatever quality of trust you choose, will reveal itself exactly, unfailingly and precisely as you choose. You are an amazing, incredible, awesome and powerfully creative individual. I don't care where you are, what you're experiencing or how you perceive yourself or the things unfolding around you. There’s IMMENSE power within you. You are ALWAYS using that power. We each without exception have that seed of greatness within that only requires recognizing, becoming aware of and "using" consciously and intentionally to provide the desired harvest. But that seed must be planted first of all. Once planted, it needs to be nurtured, loved, accepted and appreciated. That's where the Power of Trust is most important. It's essential that you learn to trust in yourself. It's vital that you become aware of who and what you truly are. Self esteem plays a huge role in determining what you are placing focus on, trusting in and will inevitably receive in life. You have unique, awesome, inherent gifts within you to change your life into whatever kind and quality you desire and believe you can change. Do you believe and trust that you can’t “change things?” That quality of belief and trust will ensure that things will never change. You always get to be right. Both "probabilities" already exist. A kind and quality of life that you Love as well as a kind and quality of life that you "fear" being trapped within. Which are you believing and trusting in? Look at your world and your life. Look at your bank account, the quality of your health, the relationships that you're engaged in. What have you, are you and will you continue trusting and believing in? What do you perceive to be true about yourself? What you see and are looking at as well as what you'll see and look at at some point in the future, in tangible as well as intangible ways, is and will ALWAYS prove to be, a mirrored reflection of the answers to those questions. Would you LOVE to see more of the desirable things? Enhance the kind and quality of what you’re believing and trusting in and what you see will change in ways and through means that you “previously trusted and believed” were illogical, impractical, impossible and perhaps even, well outside the scope of what you “perceive” yourself as being capable and/or incapable of. You CAN be, do and have "whatsoever you desire" in life. It’s simply a matter of you recognizing, choosing and trusting in the fact that you can. Then, once you've developed the understanding of just how "true" that is, then it's simply a matter of "choosing" to use and apply that understanding consistently. Faith and abundance is all there truly is in life. The Power of Trust reveals itself based on what you have faith in which in turn determines the kind and quality of what you'll receive an abundance of. Any other perception or belief that leads to what is often viewed and labeled as a "lack of trust" is nothing more or less than what’s happening within you. Do yourself an immense and life transforming favor. Look in there. Look inside. Become still, become quiet, tune in be honest with yourself and you’ll see just how “true” that is. Never underestimate the Power of Trust. It’s always working. It always has and it always will. And it can, should you choose to "allow it to", enable you to experience an amazing and in a number of cases an “unbelievably extraordinary” quality of life if and when you should “choose that” for yourself. A quality of life filled with hope, harmony, promise, joy, inner peace and indescribable fulfillment physically, financially, relationally, emotionally and spiritually. What I personally perceive, believe and choose to refer to as a life overflowing with abundance and happiness. If where you currently are in life is keeping you from seeing and experiencing that, if you have unfulfilled hopes, dreams and aspirations that you would LOVE to see become real yet aren't quite sure how to go about it, if you're serious about changing what is into what could be and you could use some support and guidance in doing so, perhaps a consultation or long term mentoring is something that would prove beneficial and assist you in getting from where you are to where you truly desire to be. You can be, do and have whatsoever you desire in life. Getting it is as simple and/or complex as making a "conscious choice", committing to the process and keep on keeping on until you see it in tangible form. Now...if you haven't already, make the shift and go get your share...or not. I'd love to hear your thoughts and personal experiences regarding how the power of trust has impacted your life. I've created a way for you to do that below. Scroll down to the bottom of the page and share your thoughts, ideas and stories about how the Power of Trust has impacted your life in the form provided. Upon review I'll make those available on a web page like this one. I hope you'll share your insights and experiences so others might benefit. and TRULY READY To Be, Do and Have More? Have A Great Story About The How The Power of Trust Has Impacted Your Life?? Do yourself and others a favor. Share it! Copyright © 2011, Abundance-and-Happiness.com. The Power of Trust article and all content throughout Abundance-and-Happiness.com is copyright protected and strictly prohibited from copy or reproduction of any type in whole or in part without the express written consent of the author Chuck Danes and/or Enlightened Journey Enterprises. All Rights Reserved Worldwide. Each of the resources recommended in the Power of Trust article and throughout Abundance-and-Happiness.com is offered by and/or has been personally tested and approved by the founder as a credible and effective means of accomplishing it's intended purpose. Any and all guarantees are handled through the company that provides the resource.